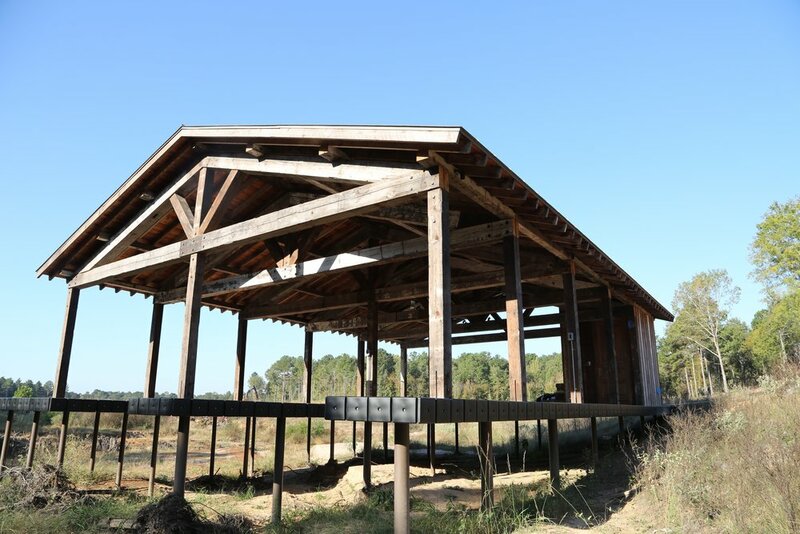 This boat house was pre-built in our facilities using our panelized process. 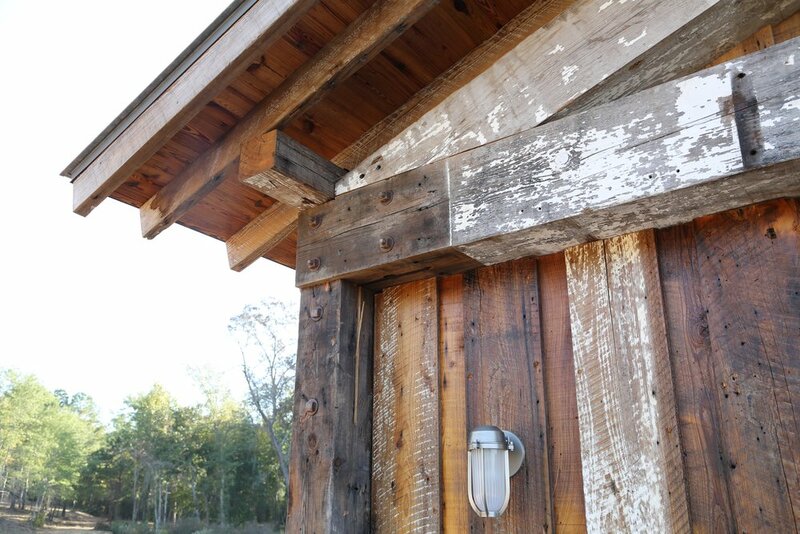 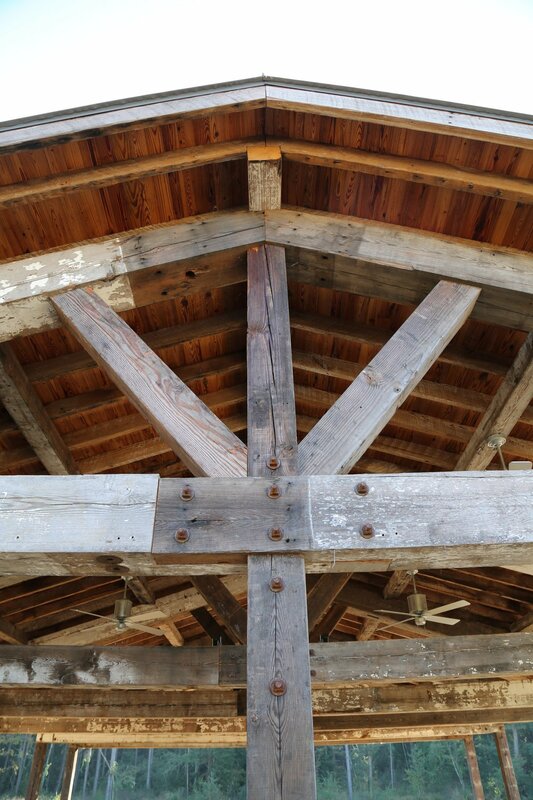 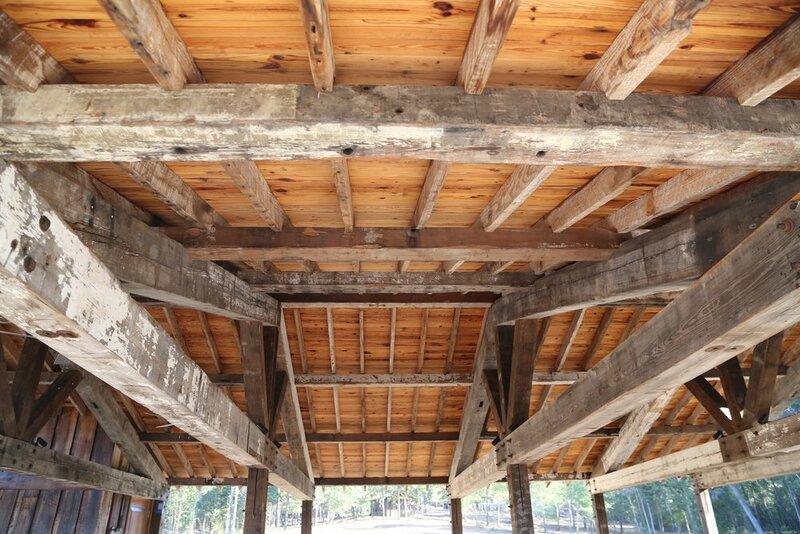 The structure is made of reclaimed wood from old barns out of Louisiana and sinker cypress. 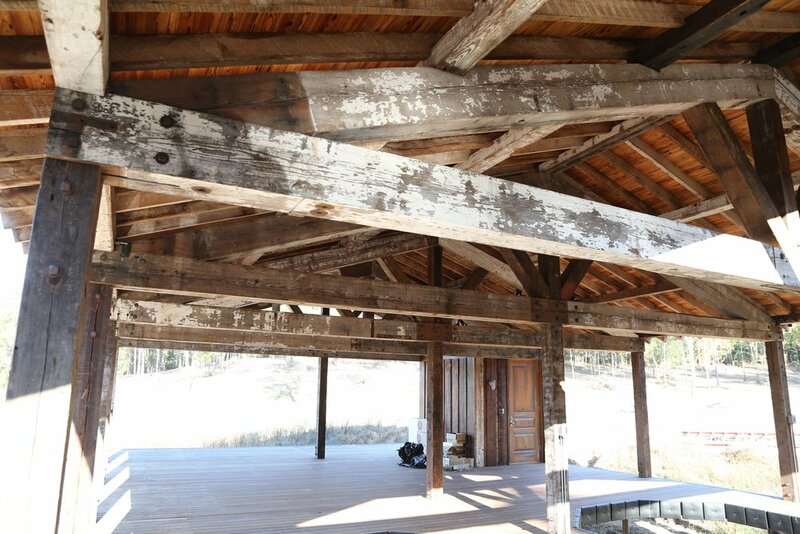 This boat house visually conveys as if it were a century-old structure, while exhibiting beautiful pre-fabricated trusses with incredibly solid connections.